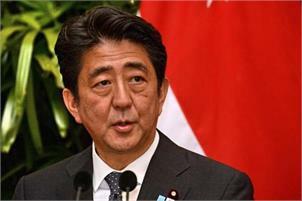 Tokyo, Japan’s Prime Minister Shinzo Abe makes a rare trip to China this week hoping improved relations will lead to new economic partnerships, as the two countries come under US pressure on trade. The visit is the first by a Japanese premier since 2011 and is part of a years-long process of repairing ties in the wake of a disastrous falling-out in 2012, when Tokyo “nationalised” disputed islands claimed by Beijing. “The trade war with the US seems like it’s helping bring them together a bit,” said Kristin Vekasi, assistant professor of political science at the University of Maine, and an expert on Japan-China ties. “In that sense, they’re actually on the same side… and if Japan leans away from the US because of decreased economic opportunities, there’s a potential for closer ties with China,” she told AFP. Abe has signalled some interest in China’s massive “Belt and Road Initiative”, which funds major infrastructure work, but experts said a concrete deal on Japanese participation was unlikely for now. “Japan and China have really nicely complementary economies, and they can benefit hugely from having closer trade and investment ties,” said Vekasi. “They’ll try and bring home some economic tangibles. That’s generally where they’ve been able to successfully cooperate in the past.” The two leaders may find less common ground outside of the economic realm, with tensions lingering over territorial issues. Abe and Xi are likely to simply avoid those thornier issues, said Kazuyuki Suwa, a professor of political science at the University of Shizuoka. “Neither side will make any compromises… They will say what they need to say, and won’t likely agree to go beyond that,” he told AFP. “The relationship is a mixture of cooperation and confrontation, and that will stay the same.” Much of the meeting will be about optics, with both men looking for the symbolic boost that the summit will provide. Abe will also be hoping to extract a pledge that China will make good on plans for Xi to pay a reciprocal visit to Japan next year. If he succeeds, “that itself should be called one of the major achievements of this trip,” Suwa said. And there may be other diplomatic tools at the ready as well. When Chinese Prime Minister Li Keqiang visited Japan earlier this year, he announced a gift of a pair of rare wild crested ibises, which arrived this month. Japanese media have reported Abe is hoping that his visit will produce a bigger bonanza in the form of some panda diplomacy, with zoos in Sendai and Kobe apparently angling for new additions.